A power surge which took out the electricity generators at an airport in Southern California meant air traffic controllers had to use radios to guide pilots safely to land. The generator broke down on Sunday which meant the airport control tower was relying on their emergency generator. A number of flights were delayed while controllers used portable radios to bring planes into landing. 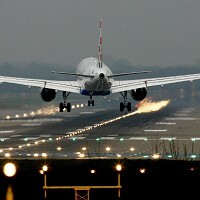 Around 10 outbound flights were delayed by almost half an hour reinforcing the necessity of travel insurance. The incident occurred at the Jon Wayne Airport in Orange County and continued for over an hour, Ian Gregor from the Federal Aviation Administration (FAA) said. Mr Gregor said that "a power bump" meant the control tower was relying on the emergency generator which stopped working at 11.42am on Sunday. Engineers from the FAA were able to discover what caused the power failure and fixed the generator, meaning power was restored by 1pm, according to Mike Fergus a spokesman for the FAA.